A person who started his dream website on Blogger has just one question in his mind, and this is “Should I migrate my Google hosted blog to WordPress”. On the other hand, he seems to be a bit tensed that what would happen if I lose my all SERP Ranking. This is the reason, why lots of Bloggers shy while migrate their site from Google server to self-hosted WordPress blog. The reason, why WordPress over-shines over Blogger is its flexible plugin inventory, which makes things pretty straightforward. Therefore, being a pioneer of Blogger enabled site we just through why not to start a brand new series in which we will share the correct techniques that a person should adopt while migrating his site from blogger to WordPress. Following are the few reasons why a person should migrate his site either it is hosted at Blogger or any other Platform to WordPress. Consider the following meaningful reasons. WordPress inventory has more than thousands of Plugins that make things for webmasters to enhance his site according to his desire needs. With just one click, a person can easily install plugins from numerous categories. It is as straightforward and one, two, three and done. Unexpectedly, most plugins are free that means a person won’t have to spend a single piece of penny over them. However, for advance Plugins have to spend few bucks to make use of them. WordPress Plugin inventory is like a magical wand, “You name it and they have it”. No matter whether a person is a BlogSpot geek or not, but he will surely agree with the fact that it lacks a lot in terms of SEO. Though, Google has done lots of changes in Blogger platform by introducing search preference but still it has lots of drawbacks. On the other hand, WordPress is extremely SEO Friendly because it has tons of plugins that helps in increasing the Crawling rate and also improves the SERP Ranking. Especially, Yoast SEO Plugin is a complete SEO Plugin and its free which makes it perfect for even a small blogger. The biggest advantage of having a self-hosted website is that, “a person who started a site is the only owner of it. It means, he can do anything i.e. uploading anything to the website root, delete his website and more. However, in Blogger we have to mess with Google because they won’t allow us to upload anything to the root file of a site. Therefore, a person won’t have the complete access, and ultimately he becomes the Co-admin, while Google becomes his boss. Moreover, a sword always stands above those sites hosted at blogger who share pirated content. WordPress themes are put up with a lot of delightful features. On viewing a splendid WP theme, no can stop himself from saying a, “WOW”. Though, anyone can easily transform a WP theme to blogger, but no one can replicate its real beauty. There are tons of FREE and Paid themes through which everyone can fertilize their website. Moreover, we have Frameworks through which anyone can design their personal customized themes (That sounds remarkable). Those who think that WordPress is complex then we would like to tell you, that it is extremely straightforward that even a 10 year old kid can start his blog over WordPress. However, it demands a few resemblances with PHP, HTML and CSS. It’s not necessary to learn all these difficult computer languages because plugins manage everything with ease. If you still think we are wrong then, go ahead and install WAMP locally on your computer and witness the power of WordPress (Will explain later). It has highly flexible interface through which anyone can easily upload themes, plugins and etc. The latest version of WordPress has almost everything in it. Its post composer has almost each and every feature that we have in Blogger. However, the flexibility of WP interface is much better then Blogger. Following are the few tiny reasons that why WordPress overshines over each and every blogging platform. Add More than 20 Pages: WP Allows to add more unlimited Pages While blogger allows only 20. Highly optimized: WordPress has some tremendous tools that help a lot in designing a perfect web site. Comment Spam Control: WP has some tremendous plugins and building features that reduces spam. Being a Blogger love, we still believe that it is a splendid platform. However, we cannot refuse the truth that WordPress is something that is for PRO Webmasters. We would surely recommend WP to all those followers, who are sick and tired of clumsiness of WordPress. On the other hand, those who think that Blogger is well enough for them then they shouldn’t have to worry about it. In the coming up articles of this series, we will discuss the correct technique that a webmaster should adopt while migrating till then Peace, Blessings and Happy Wordpressing. Awesome article faizan. After migrating from blogger to wordpress what I observed is that a newbie should go for blogger first and then to wordpress. No doubt,that wordpress is far better blogging platform than blogger. Plugin powers are impressive on wordpress. You don't have to copy/paste codes in wordpress to add widgets like blogger. Just by one click you can add your desired plugin that will do your work. @Muhammad, I strongly disagree that a newbie should start with blogger. I'm a victim of it. Still no regrets i got the traffic back in a month. I started blogging at pcpedia.blogspot and i reached at a point where i had to migrate to WP. If a blogger is blogging passionately or seriously he will have to migrate to WP one day. 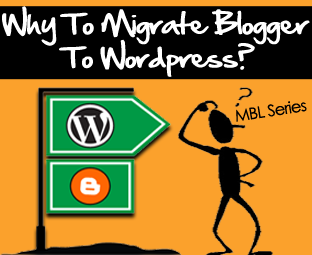 After reading this article I just have a question that as MBL is turning bigger and better why you are not moving to Wordpress ? Faizan, it is true that WordPress is SEO friendly and have tons of Plugins while blogger doesn't have them, however, the newly added SEO features are something that now benefiting all bloggers. In my opinion, many features i.e Plugins, Themes and Root folders etc that WordPress has are just awesome and making WP a unique platform, but I would also love blogger for easy template customization and simplicity. There isn't anything complex in blogger. Also if compare to WordPress, blogger is more secured in terms of security issues. You mentioned that blogger allows 10 static pages, replace it to 20 because now you can add up to 20 pages in Blogger. Anyhow, spectacular writing from your side.. Wish you all the best..
Firstly it is my personal request to you that please do not delay this series.I am waiting hardly for this series. I am also thinking to migrate from blogger to wp and you have come with a right series with right time for me. Although I have heard that those awesome plugins are not free,you have to buy them and same for the themes? I have read your article on MBT on migration from blogger to wp and it was awesome and unique and I didn't find any article comparable to that on internet.And this time you have come with this sspecial series and I am excited to raed it! Agree with you. but why all bloggers mentioning that pages have small number. use post instead. Really Wordpress is very valuable and useful platform. coz it is SEO friendly and easy customize CMS. But Blogger also good. if you are new in blogging. you should firstly use blogger after few month you should move you blog on wordpress. :) really this good article. I Like it. From what i have learned is that migrating to wordpress involves loss of traffic and feedburner subscribers.So inshort you have to start all over. I am struggling with seo very badly cuz i am on blogger but on wordpress you have nothing to do i will soon migrating to it. Moreover, a sword always stands above those sites hosted at blogger who share pirated content. totally disagree with this post. Blogger is the best blogging platform i have ever seen. I would start with 2nd point. 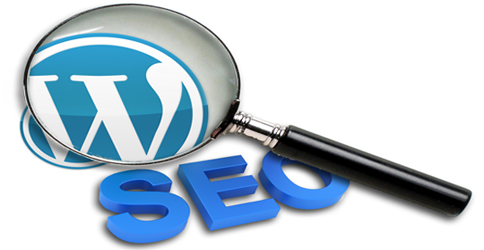 Brother, seo is easy in wordpress (automatic) but u could get a very better seo in blogger through some simple tweaks. You are the only owner. This is correct. If you are really serious and post quality content then google will never even touch your blog. You can't get any widget from plugins but you ciuld get every widget in blogger scripts. You can do anything in blogger. Tell me any MAJOR problems in blogger. If you host your blog on wordpress self hosted website then you have to pay the hosting amount also. But in blogger, you just have to confirm your website and switch to custom domain. Even websites like famous mybloggertricks suggest blogger! Love you blogger! bLOGGER ROCKZZZZ! That's True Indeed, WP has more functionalities than Blogger but there are also few hitches in the WordPress Platform. We will surely going to discuss them in the Coming up Articles of this Series. Well Those Guys should start there blogging career with Blogger who have less or no money because it hardly cost 10 Dollars to buy a Domain. On the other hand, you need lots of money to start over WP. Peace Mate! Well, About 2 weeks a go we Made a decision to migrate MBL to WP. We even created our custom theme for WordPress. However, later we though that we are here to curate Tutorials for Blogger. Therefore, this won't be fare to our readers because our motive is to Support Blogger not WordPress. Nevertheless, we are reconsidering it. And we will let you about the further news. Blessings Pal! I Do Agree that Search Preference Tool has given a new life to Blogger SEO but still if we compare it to WP then it still need improvements. Yeah! Thanks, we were unaware of that Blogger now Supports 20 Page. That's a great news indeed. Thanks for leaving your Precious Reviews on our Small Blog. Really Appreciate your Comments. Yes, because lots of people were complaining about Blogger to WP migrate we thought why not to share a complete tutorial base series so maximize the benefits. Mostly Plugins that WP offers are FREE. However, some external plugins that are not included in the WordPress inventory and not for Free. You can Easily Redirect your old FEEDBURNER URL to the new one. This is not a big deal. And "Sunil" is correct your traffic will be tripled we are dam sure! Peace mate. Yes, Very well objection raised we will surely Answer that in our coming up articles. Dude! We are not blaming Blogger Platform because "WE" Still love it and care about it. The fact is that to look at the "Truth" that WP is far better than Blogger (You can't refuse that). Before, I Started to use WP, I also had similar views about WP but as soon as I Played with its features it really made me a WP Diehard fan. brother, please write a post how could we make a series box as yours! bro did i do anything wrong to open a blog for mobile contents? I dont get much traffic . I get 400 or less and i am using my blog for more then 2 years. I think once it got affected when panda was started and then never i get traffic. So wat seo i can use here? Even if i try also i cannot increase the word count limit because nothing we can do with the post i do. What should i do now? Please gv me some suggestion..
i also agree with you syed that wordpress is better than blogger because it is to customize your blog if you know php. the files are well organized and documented. lots of features, widgets and themes. but i you just start blogging than blogger is the only king. because here you learn how to write, share, communicate, customize, SEO and many more only just in $10.